WOW, what a crazy story!! And after two and a half years of hearing this, he finally did. The first contact was with OSU who turned him on to CIFT in Bowling Green, Ohio. CIFT is an educational and non profit kitchen available to those who qualify. Guess what their upcoming seminar was when he contacted them? Yep, you guessed it…. “How to take your family recipe to market”. With help and guidance from CIFT, local retailers in Bowling Green, Ohio, and a few suppliers who were willing to help a start-up company The MUSTARD Man was on its way. The mustards produced initially were Simply Sweet, Simply Peppered and Simply Horsey. The first retail store to take on these new products was Lanning’s Foods in Mt. Vernon, Ohio and then followed shortly by Walt Churchill’s Market in the Toledo, Ohio area. In June of 2016 two new mustards were put on the store shelf…Simply Chipotle and Simply Maple. Trying is believing and as Tim The MUSTARD Man says “Try Me! I’m Good.” Interested in trying ? Follow events on Facebook at www.facebook.com/themustardmanohio. All five of the mustards can be purchased online by logging onto www.themustardman.net or at one of 20 local retailers….Shearer’s Outlet, Fisher Foods, Heinin’s, Kishman’s IGA, DioGuardi’s and Krieger’s Health Food Market to name a few. The entire listing of fine retailers are on the website. A few notes of interest>>> that they are all low in sodium and Gluten Free, with the exception of Simply Maple. If you need inspiration for ways to use these unique mustards just look to Facebook and the website. The MUSTARD Man is always looking for new recipes, so when you find a new twist for his mustards just send him the recipe! I have tried them all and they are fantastic!! 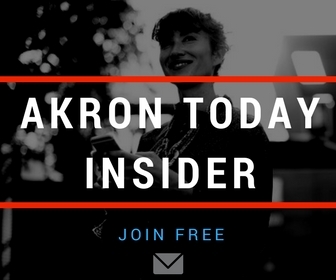 Diana Hendershott is a guest writer for Akron Today Magazine and works with companies to improve their Merchant Service account. You can reach here at 330.206.0978 .